Temperature sensing nautilus bag #WearableWednesday « Adafruit Industries – Makers, hackers, artists, designers and engineers! This is a felted knit bag that incorporates a temperature/humidity sensor connected to NeoPixels and a display module. The light display varies with changing temperatures and accurate data is shown on the LED display in both Fahrenheit and Celsius. 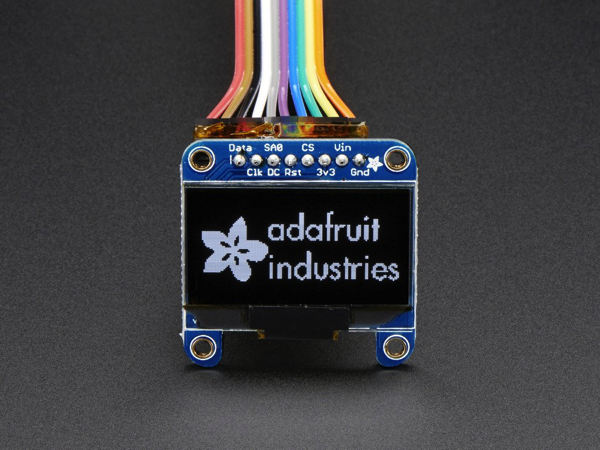 Monochrome 1.3″ 128×64 OLED graphic display: These displays are small, only about 1.3″ diagonal, but very readable due to the high contrast of an OLED display. This display is made of 128×64 individual white OLED pixels, each one is turned on or off by the controller chip. Because the display makes its own light, no backlight is required. This reduces the power required to run the OLED and is why the display has such high contrast; we really like this miniature display for its crispness! Read more. 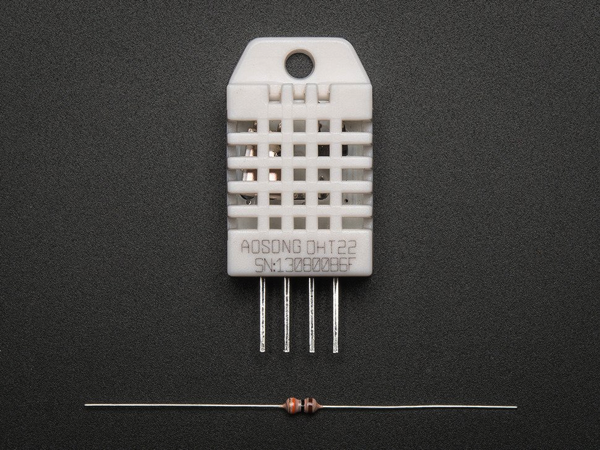 DHT22 temperature-humidity sensor + extras: The DHT22 is a basic, low-cost digital temperature and humidity sensor. It uses a capacitive humidity sensor and a thermistor to measure the surrounding air, and spits out a digital signal on the data pin (no analog input pins needed). Its fairly simple to use, but requires careful timing to grab data. The only real downside of this sensor is you can only get new data from it once every 2 seconds, so when using our library, sensor readings can be up to 2 seconds old. Read more.